Sand-cement plaster is used extensively in building work as a decorative or protective coating to concrete and masonry walls and concrete ceilings. The aim of this publication is to provide the technical information needed for successful plastering. It is intended for architects, building contractors, building inspectors, and anyone in need of guidance to achieve a satisfactory standard of work. Aspects dealt with include selection of materials, mix pro-portions, surface preparation and correct plaster application. This publication deals with conventional architectural applications of plaster. Special applications such as squash courts and swimming pools are outside its scope. Plaster has important requirements in the fresh and hard-ened states. In the fresh state, plaster must be workable and cohesive, i.e. it must be plastic, and have good water retention. The properties of fresh plaster depend on the materials used, especially the sand, and on mix proportions. acceptable surface texture; and have acceptable surface accuracy (with reference to a plane or curved surface). The properties of hardened plaster depend on the properties of the fresh plaster and the substrate, and on workmanship. The following sections give information that should make it possible to meet these requirements. As discussed in section 2, the properties of plaster in both fresh and hardened states depend to a large extent on the properties of the materials used. This section gives guidance on selecting materials. Use "common" cement complying with SANS 50197-1, or masonry cement complying with SANS 50413-1 strength class 22,5x or higher. Always ensure that the cement used bears an SABS mark. Note that it is illegal to sell cement which does not bear this mark. The choice of cement should be based on the properties of the sand (see sections 3.2 and 3.3). Sand is by far the major constituent of a plaster mix and has a significant influence on its performance and material cost. In South Africa, natural sands, i.e. pit, river and dune sands, are almost invariably used for plaster mixes. An essential requirement is that sand should be free of organic matter such as roots, twigs and humus. shrinkage with increasing and decreasing moisture content. Crusher sands are also not generally suitable due to their angular particle shape. However, crusher sands are used successfully in rich mixes for special applications such as squash court plastering. SANS 1090:2002 the standard covering sand for plaster and mortar gives limits for certain properties of sands but these should be regarded as no more than a guide. It has been found that sands meeting this standard do not necessarily produce satisfactory plaster; conversely sands that do not meet this standard may produce acceptable mixes. A sand lacking in fines may be used with hydrated builder's lime, mortar plasticizer, or masonry cement (see section 3.3). A sand with excessive fines may be improved by washing or by blending with a suitable coarser sand. Recommended gradings are shown in Table 1. Note: Some coarser material may be acceptable, or desirable, for textured decorative work. For conventional smooth plaster, all the sand should pass through a sieve with 2,36 mm square openings. For coarsely textured decorative work the corresponding sieve size is 4,75 mm. Oversize particles (and lumps) should be removed by sieving. Only a small proportion of clay can be tolerated in plaster sand. The fraction that passes a 0,075 mm sieve* can, after being moistened, be rolled into a thread about 3 mm or less in diameter. Specialist advice should be sought if there is any doubt about the content and type of clay in a sand. Comparing grading and maximum particle size, and - if necessary - apparent clay content, with the recommendations given. Making a mix to assess water requirement and workability. (ii) Mix the cement and sand to a uniform colour on a non-absorbent surface. (iii) Mix, in succession, each of the amounts of water (5 l, 1 l and 1,5 l) until the mix reaches a consistence suitable for plaster. If more water than that is required, the quality is very poor. "Poor" and "Very poor" sands are not recommended and should be avoided. (iv) Assess the workability of the mix (at plastering consis-tence) by forming a flattened heap about 100 mm high and 200 mm in diameter on a non-absorbent surface. Place a plasterer's trowel face down on top of the heap and try to push the trowel down. A workable plaster will squeeze out from under the trowel and it will be possible to push the trowel to within a few millimetres of the underlying surface. An unworkable mix will "lock up" once the trowel has moved a few millimetres and prevent further downward movement of the trowel. If the mix appears to be workable, pick up some of the plaster on a trowel then tilt the trowel. The plaster should slide off easily. If it clings to the trowel the mix is too "fatty", an indication of excessive clay content of the sand. These materials may be used in cases where a mixture of sand and portland cement only does not have satisfactory workability, usually because of a deficiency in the sand. Workability is improved by increasing the amount of very fine material in the mix, entraining air in the mix, or a combination of these. * Such sieves are expensive and normally found only in laboratories. For a field test, place a few handfuls of dry sand in the foot of a nylon stocking and tie closed. Shake the sand and collect the dust in a bowl. complying with SANS 523 : 2002 Limes for use in building should be used. Use type A2P if possible for better plasticity. Note that the limes used in South Africa do not have cementing properties. They cannot therefore be used to replace cement but are used in addition to portland cement. These are chemical admixtures that cause millions of tiny air bubbles to be entrained in the mix. Accurate dosage is essential because over-dosage results in excessive air entrainment with consequent loss of strength. Because dosage is difficult to control on site, the dosing of AEAs on site is not recommended. masonry cement mixes should be richer than portland cement mixes (see Table 2). Note: Builder's lime and AEAs should not be used with masonry cement. replacement for mixing water in spatterdash coats (see Roughness in section 5.2). Mix proportions for conventional plaster are shown in Table 2. This section deals with the preparation of the surface to which the plaster is applied, i.e. the substrate. Aspects discussed are substrate properties; techniques of surface preparation; and methods of preparing different types of surface. The surface to be plastered should be accurately positioned overall and zones should not deviate excessively from a plane (or curved) surface. Ideally, the substrate should be rough; absorbent to a limited extent; strong; and clean, i.e. free of any film, such as dust, oil or paint, that could impair bond between plaster and substrate. Plaster thickness should be as recommended (see section 6.3) and as uniform as possible. The more accurate the substrate the easier it is to meet these requirements. Roughness improves adhesion by providing a positive "key" for plaster to grip. Absorption removes the water film, between substrate and plaster, that would tend to weaken adhesion. Excessive absorption will however dry out the plaster (see Absorption in section 5.2). The strength of the substrate material should be greater than, or equal to, that of the hardened plaster. In new work, surface preparation starts with accurate setting out and construction of walls and soffits. plaster of uneven thickness should not be relied on to hide inaccurate work. or cutting. If this is not practicable, apply undercoats to low areas in such a way that the final coat is of uniform thickness (see section 6.3). stainless steel studs. This is also recommended when plastering dense non-absorbent substrates. For new work, masonry units strong enough to survive handling and transport prior to being built in should be strong enough to hold plaster. Similarly, in situ concrete should have ample strength. In some cases, it is necessary to plaster existing walls of soft clay brick. Methods of plastering such surfaces are discussed later (see section 5.4). Background surfaces should ideally be at least as rough as coarse sandpaper or rough-sawn timber. Spatterdash is a mixture of one part of cement to one and a half parts of coarse sand with enough water for a sluggishly pourable consistence. A polymer emulsion may be substituted for part of the mixing water (usually a quarter to a third, but in accordance with the manufac-turer's instructions). The mixture is thrown forcibly on to the wall, using a scoop or a brush with long, stiff bristles. (The impact drives out the water film at the interface between spatterdash and substrate and hence improves adhesion.) The spatterdash should cover the substrate surface completely and form a rough texture with nodules about 5 mm high. Spatterdash must not be allowed to dry out for at least three days. (See comments on curing in section 3.4 if a polymer emulsion is included in the mix.) It should be tested for adhesion and strength by probing with a screwdriver or knife before plaster is applied to it. Surfaces must be free of loose material, such as dust, and films that can interfere with bonding, such as curing compounds. First assess absorptiveness by throwing about a cupful of water against the surface. I No water is absorbed. II Some water is absorbed but most runs off. III Most of the water is absorbed. Category I surfaces, which would include hard-burnt clay face bricks, glazed bricks and very dense high-strength concrete, should be prepared by applying a spatterdash coat that includes a polymer emulsion. Such surfaces must not be prewetted. Category II surfaces should not require any treatment to control suction. Category III surfaces should be wetted thoroughly and then allowed to become surface dry before the plaster is applied. Concrete is normally placed in situ but may be precast. Ensure that no form-release oil is left on the surface to be plastered. Clean down by water jetting or vacuuming. Remove curing compound, if any, by mechanical means. Conventional structural concrete should not require wetting to control suction. High strength concrete may require the application of a spatterdash coat. The texture of the masonry units should be sufficiently rough without further treatment. If not, apply a spatterdash coat. If the surface is dusty, clean by brushing, water jetting or vacuuming. It should not be necessary to control suction of the surface by prewetting, unless the masonry units are very absorbent. The texture of the bricks should be sufficiently rough without further treatment. If not, apply a spatterdash coat. Burnt clay stock bricks normally have a very high suction; this can be assessed by wetting the wall (see Absorption in section 5.2). If suction is high, prewet the wall and allow it to become surface dry before applying the plaster. Such walls are characterized by low suction. Brick texture may be smooth, almost glazed, or rough. If the brickwork has been treated with a sealer or water-proofing agent, the surface layer containing this treatment must be removed. Apply a spatterdash coat if the brick surface is smooth. Rough bricks should not require this. It is normally not necessary, or advisable, to prewet the wall before plastering. This type of walling may be found in very old buildings, usually when restoration or repairs are being done. Care should be taken when removing the old plaster so as not to damage the bricks. Protect the wall from rain or running water once the bricks are exposed. Rake out the joints about 10 mm deep (the mortar is normally very soft). Brush down the wall to remove any loosely adhering material. Lightly dampen the wall and apply a spatterdash coat that incorporates a polymer emulsion to improve adhesion. up within about two hours. This may be done by machine or by hand. Machine mixing is preferable. Hand mixing should be done on a smooth concrete floor or steel sheet. First spread out the sand about 100 mm thick. Spread the cement uniformly over the sand. Mix sand and cement until the colour is uniform. Then gradually add water while mixing until the right consistence is reached. If plaster is applied in a single coat, thickness should be 10-15 mm. A single coat should not be thicker than 15 mm. Never work in direct sun. Plastering should be protected from the sun and drying winds. The plaster should be used up within two hours of being mixed and never be retempered by mixing in additional water. Ensure that plaster is not continuous across the line of a dampproof course. Plaster should be cut through to the substrate where different substrate materials meet, e.g. masonry and concrete. For accurate work, apply screed strips before the wall is plastered. These are narrow strips of plaster along the perimeter of the wall, or at suitable intervals on the wall, that act as guides for the striker board. Using a rectangular plasterer's trowel, push plaster onto the wall or ceiling using heavy pressure to compact the plaster and ensure full contact with the substrate. The plaster should be slightly proud of the intended surface. Once the plaster starts to stiffen, it should be struck off to a plane (or curved) surface using a light striker board. Material removed in this way should be discarded. If plaster is to be applied in more than one coat, the undercoat(s) should be scored with roughly parallel lines about 20 mm apart and 5 mm deep. The purpose of scoring is twofold: to provide a key for the next coat and to distribute cracking so that it is less noticeable. For the final coat, use a wood float to remove ridges made by the striker board. At the same time fill in any depressions and float flush with the surrounding plaster. Various decorative finishes are also possible. Techniques include brushing, flicking plaster onto the surface and lightly floating, etc. It must be well scratched, cured for at least two days and allowed to dry. 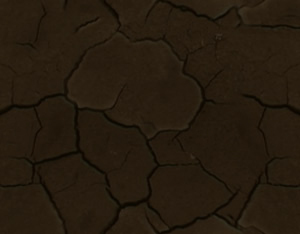 The scratching, followed by the drying period, distributes shrinkage cracks. Apply the final coat of plaster, using the same mix C or preferably a slightly leaner mix. Striking off and finishing are done as described previously. The permissible deviations of plaster work are 3 and 6 mm under a 2 m straightedge for grades I and II finishes respec-tively (SANS 10155 : 1980 Accuracy in buildings). Experience has shown that a grade I finish on masonry walls is not achievable with one-coat plaster work unless the masonry units have only small dimensional differences and the accuracy of the wall is excellent. materials, mix proportions, application, finish and surface tolerances. Provided sufficient attention is paid to the selection of materials, mix proportions, preparation of substrate surfaces and the application of the plaster, the results should be serviceable and aesthetically acceptable. Note: For information on plaster defects and their causes, refer to Common defects in plasters available from the Cement and Concrete Institute. Published by the Cement & Concrete Institute, Midrand, 1997, reprinted 1999, 2000, 2003, 2006.